Yes, you read it right. Chocolate. Smearing edible chocolate on your face may sound odd yet delightful, isn’t it? 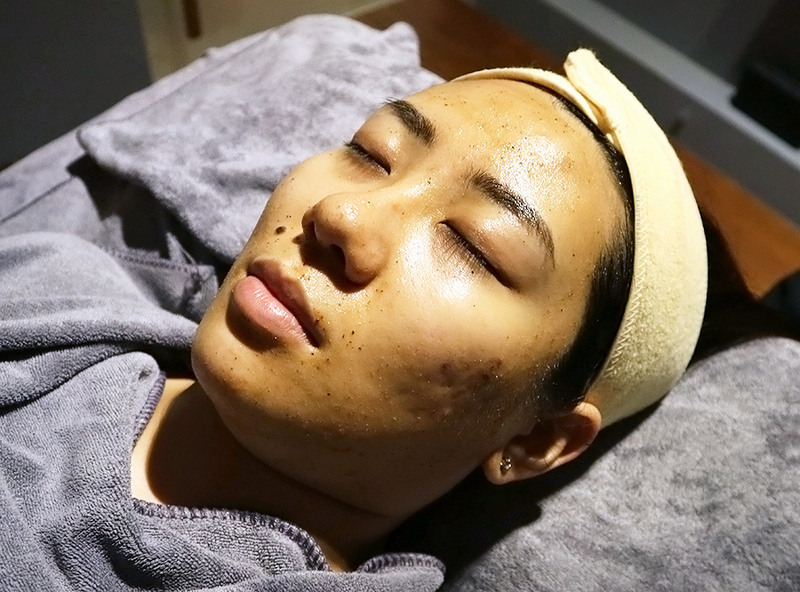 Upon hearing about J Studio's latest Chocolate Anti-Stress Facial, I was extremely intrigued as I’ve never experienced one before. 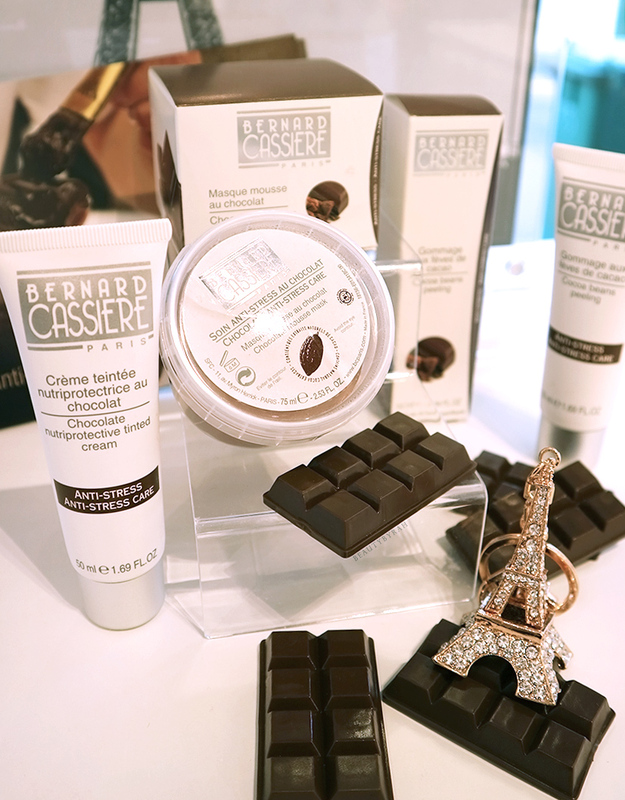 J Studios (which I also mentioned here when I underwent their Signature Oxygen Facial) was recently named the Bernard Cassiere Paris Premium Salon in Singapore with the exclusive rights to launch the Exclusive Chocolate Anti-Stress Facial Treatment and it was truly a treat. This facial is an award winning treatment formulated with natural cocoa extracts and quality fair trade chocolate to smooth and nourish the skin. If you’re still wondering why chocolate is being used, it mostly boils down to cocoa being rich in antioxidants and anti-free radicals. These aid in protecting the skin against environmental damage and helps to repair, detoxify, and protect the skin while rejuvenating the skin. This facial is targeted for stressed, dehydrated, dull, tried and environmentally damaged and if your skin is lacking a glow and brightness. 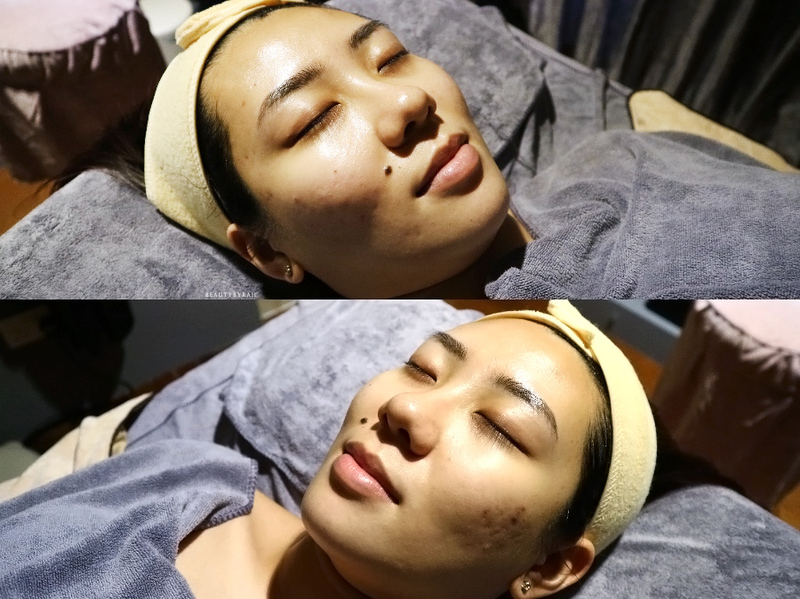 As usual, after makeup removal and their relaxing shoulder massage, they used ground up cocoa beans to help scrub and exfoliate the skin. It wasn’t too rough or scratchy at all as the beans were ground up real good. My entire room also smelt like cocoa and who isn’t a fan of that? After the skin is prepped and ready, we proceeded with a light extraction and an application of cocoa butter for moisture. I love cocoa butter as it works wonders in adding hydration and it isn’t too heavy on the skin at all, if you were wondering. Cocoa Butter helps replenish, calm and protect the skin. This was followed by a facial massage to help all the goodness from the cocoa butter to penetrate the skin and then we moved on to the part I’ve been waiting for - covering my face with edible chocolate. 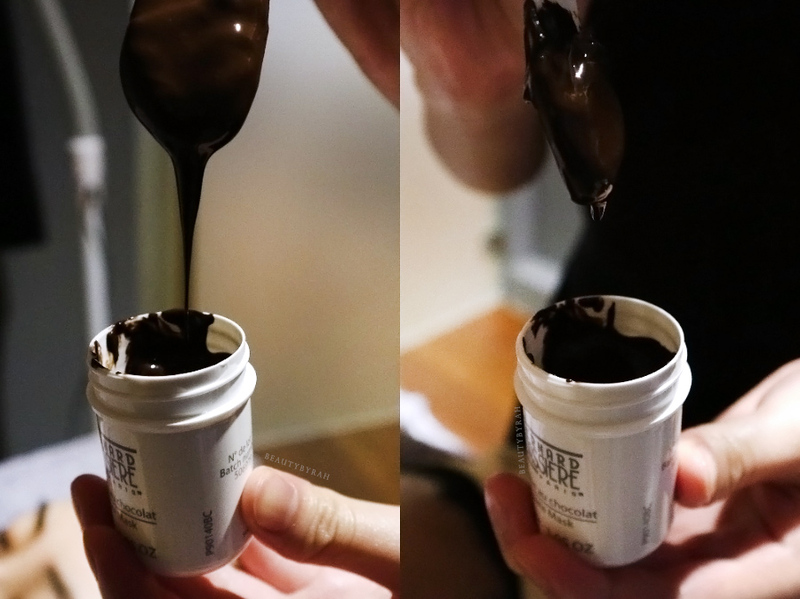 This chocolate is made of 64% cocoa and as it is heated up to get it to its liquid consistency (think: chocolate fondue! ), it is warm when applied to the skin! It was extremely delightful and I resisted every urge to lick my lips (ok, I did a little eventually). This helps to stimulate the skin and accelerate cell renewal. After removing the edible chocolate from the skin, we finished off with the application of cocoa nectar that helps to hydrate and repair the skin and a nutriprotective cream to top everything off. After the entire treatment, I noticed that my skin had this soft glow and it looked hydrated and plump. As my skin does become dull pretty easily and I do suffer from dehydrated yet oily skin, I could tell that this facial helped to add hydration and radiance to my skin! The uplifting smell of chocolate is also an added bonus. Fun fact, did you know that there was research done on chocolate and how "odour du chocolat" can improve your mood (read about it here). I for one love the scent of chocolate and can testify to its abilities to improve my mood! The entire session took about 1.5 hours and if you're interested, you can quote SARAHCHOC to try the Bernard Cassiere Chocolate Anti-stress Treatment at SGD 188! (Valid till 28th April. Ala carte price is SGD 288). A chocolate facial is unique and a must-try in my opinion. This works well for stress relief (the scent, massage and the benefits of cocoa on the skin aids in stressed out skin as well) and if you want a boost of radiance without going the route of a traditional facial. 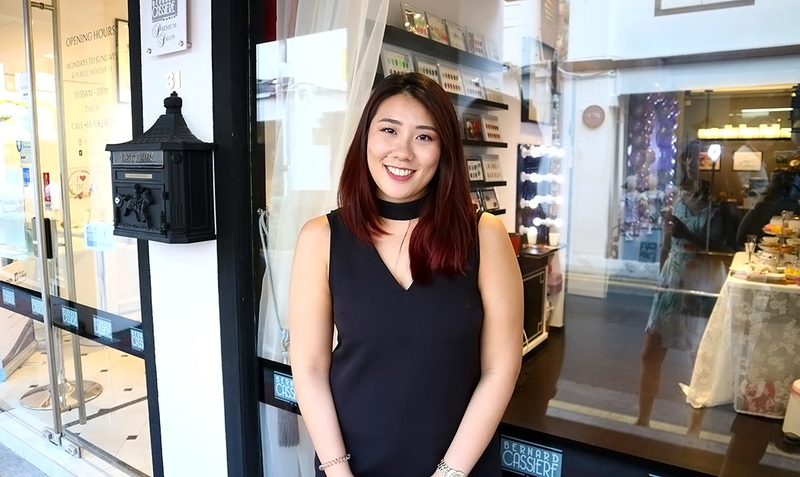 J studios can be found at 31 Haji Lane S189224 or 352 Jurong East Street 31 #01-131 Level 2 S600352. You can also check out their main website, Instagram or Facebook. **Facial treatment was offered by J Studios in exchange for a review. I am not compensated or affiliated to the brand. The above review is based on my true and honest opinion and it also contains information from the brand itself.